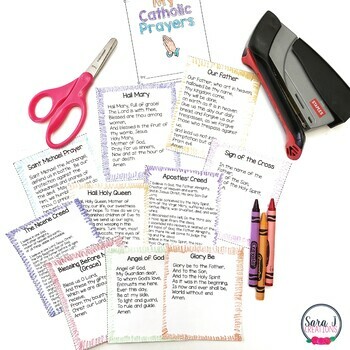 Teaching the Catholic faith can be made fun with these mini accordion style books. 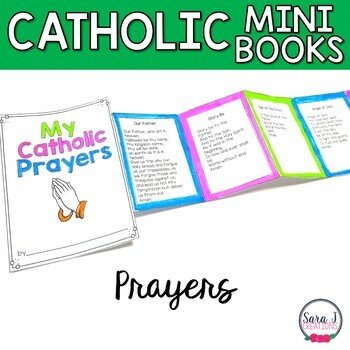 This book includes eleven of the Catholic prayers that we often memorize. 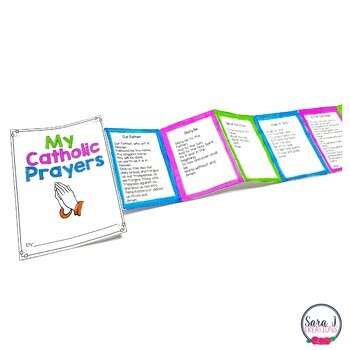 The Catholic Prayers mini book includes the pieces to assemble the mini book, prayers and directions for assembling. 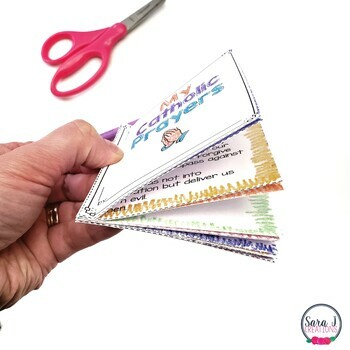 There is also an EDITABLE pdf if you want to add more prayers than what is included.